Minimum educational qualification for appointment in Level-l of the pay matrix of 7th CPC on compassionate grounds.Click here to view. GDS Committee report Q& Reply in Lok Sabha.Click here to view. Govt says No Proposal to Revise Income Tax Rates this year Read more. VRS Scheme for Bank Employees after merger of SBI Read more. 19th Circle conference of NUGDS West Bengal Circle.Click here to view. Important Forms for Central Government Employees –Click here to down load/view. FNPO Delegation met Central Ministers for pursual of early implementation of GDS Pay Committee Report. As against the Minimum Wage decided to be Rs. 18000/- by the Govt. w.e.f. 01.01.2016, the Staff-Side has said that this should be not less than Rs. 26,000/-and the multiplication factor ought to have been 3.714 and not 2.57. They have further asked for the pay matrix to be changed. Objecting to the methodology adopted by the 7th CPC in computing the Minimum Wage, they have given a number of reasons like the retail prices of the commodities quoted by the Labour Bureau being irrational, adoption of the 12 monthly average of the retail price being contents to the Dr. Avkrovd f ormula, the website of the Agriculture Ministry giving the retail prices of commodities forming the basis of computation of minimum wage provides a different picture, so on and so forth. However, when one compares this item with the three situations given in DoPT’s OM.No.11/2/2016-JCA dated 16th August, 2016 and 20th February, 2017, it does not appear that this satisfies any of them to be treated as an anomaly. The 7th CPC categorically stated that the principle adopted for minimum wage determination is Dr. Aykhoyd formula. But deviated from the same while actual computation was made. It becomes an anomaly under clause 1(a) of the definition (see OM dated 16.08.2016). At the stage of admission of the items for anomaly, it is not desirable to go into the merit of the case. That will have to be the subject matter of discussion at the meeting. The anomaly on this item has arisen due to the non-adherence of the principle enunciated by the 7th CPC while actual are computed. The item becomes an anomaly under clause (a) of the definition (see OM.No. dated 16.08.2011). The vertical relativity between grades that was in existence has been distributed by assigning different multiplication factor for different levels by the commission. The so- called policy decision of the Government has only compounded the anomaly. As stated against item no. (ii) The merit or demerit of the issue is a matter for discussion at the meeting and cannot be employed to decide admissibility or otherwise of an item. The item is an anomaly under clause KO of the definition. The Staff-Side says the minimum pension fixed after 7th CPC should be corrected and revised orders issued. From the brief explanatory note recorded under this point, it appears that the CPC had sounded out D/o pension on what the latter thought what the minimum pension should be. This is an exclusively pension-related issue on which, as informed by the Staff-Side, D/o Pension was asked for their views by the 7t1 CPC. Moreover, as will be evident, the basic focus of DoPT’s Q.M. No. 11/2/2016-JCA dated 16th August, 2016 and 20th February, 2017 is on taking on board those anomalies which are pay-related. Hence, this item may be taken up separately by the Staff-Side with the D/o Pension. Thus, instead of treating this as a case of anomaly, the Staff-Side is requested to take it up with the D/o Pension separately. Pension related items are not to be excluded from the preview of the anomaly committee. No such specific decision has ever been taken. May be main focus is decided to be on pay related matters. That can be the view of the Govt. The item is clearly within the ambit of definition of anomaly clause I (a) where it is stated that the policy enunciated is deviated without the commission assigning any reason. No reason is adduced by the 7th CPC to fix minimum pension at 50% minimum wage. This is clearly an anomaly and requires to be admitted as such and discussed at the meeting. The Govt. has the prerogative to decide upon on any issue. We have not questioned that authority at all. it is the rationale behind the decision that is questioned. While the 7th CPC has gone on record to state that its recommendations are with effect from 1.1.2016 the decision to give effect to revision of allowances from another date is a deviation and contravenes the principle enunciated. The Govt may have sufficient reason to do so but that can be explained at the meeting. The item is therefore an anomaly under clause 1(a) of the definition. In this connection we may also state that similar decision on earlier occasions were subjected to discussion and having reached disagreement were referred to the Board of Arbitration. The Government lost its case before the Board. When the Govt. takes decision to deviate from the recommendation of Pay Commission whereby either all or a section of employees are to incur financial loss, it amounts to deviating from the policy or principle enunciated by the commission. In the instant case in the face of recommendation to continue with the existing scheme of DA, the Govt. has taken decision to reduce DA entitlement. Apart from long term impact it also unsettles the principle. The item is covered within the ambit of clause 1(a) of the definition (OM No. Dated 16.08.2016). item has to be admitted. The Staff-Side says that although the 5th, 6th and now 7th CPC’s have recommended that the pay-scales of different cadres/categories/grades requiring the same recruitment qualifications should be the same, denial of the same benefit to the Statistical Assistants (SA’s) who are otherwise at par with Assistant Section Officers (erstwhile ‘Assistant’) is a violation of the principle. While ASO’s are placed in the Pay-Matrix of 7, SA’s are in the Pay-Matrix of 6. This arrangement is stated to have disturbed the horizontal relativity between the pay-scales of the SA’s in the Organized Accounts and IA&AD Cadre and ASO’s in the CSS cadre. In conclusion, it has been requested that SA’s should also be placed in Pay-Matrix no. 7. Even if, the present case comes across as one of anomaly, it appears that the interests of the Statistical Assistants only are involved. ASO’s of CCS are coming into the question; but only as a reference point, by way of comparison. Hence the Staff-Side is requested to take up this issue at the Departmental Anomaly Committee concerned. Where an item is related to more than one department, the said item shall qualify for admission at the NAC. The item is covered by clause i(c) of the definition. We shall take up the above issue in Railway DAC. Staff-Side says that although ‘Store keeper’ is one such category of posts which is common to various Departments like Defence, Mines, Railways etc and in spite of the nature of job, responsibilities being similar, the pay-scale of storekeepers across all the Departments is not the same. It is still less in the M/o Defence even after the entry-level qualifications which were different before the 7th CPC stage, have been revised. If what the Staff-Side remonstrates that even after the requisite changes had been carried out in the R/Rules, the 7th CPC did not take any cognizance of it is true, it has to be assumed that it is a policy decision of the Government. Moreover, the issue appears to be M/o Defence-specific. The Staff-Side is requested to take it up at the Departmental Anomaly Committee meeting of the M/o Defence. It the Govt deviates from the recommendation of the Pay Commission it give rise so anomaly as the Pay Commission recommendations are in consonance with the policy it had enunciated. In the instant case Govt. setup a committee to go into the feasibility of implementation of the recommendation. Feasibility of implementation cannot be the basis for rejecting a recommendation. The very feasibility question itself will have to discussed at the meeting. The issue is well within the ambit of definition of clause i (a) OM Dated 16.8.2016, where the principle enunciated is disturbed by the Government. Parity in Pay Scales between Assistants/ Stenographers in field / subordinate officers and assistant Section Officer and stenographers in CSS. We shall send further details. Request for absorbing GDS as PAs in other Division vacancies in respect of unfilled LGO exam (GDS to PAs exam) for the year 2013-14. ﻿Click this link to read the letter. We expect the Dearness Allowance to be 7% with effect from January Read more. Draft notification of proposed Recruitment Rules for MTS , Postman, Mailgurad, Postal assistant, Sorting assistant﻿. Click above link to View. According to the latest information from the Department GDS Committee Report approved by Finance Ministry, other formalities require maximum 30 days. Our Thanks to Minister and Departmental officers. 2)Adverisement for Deputation from DOP. TOP 10 PRINCIPLES FOR WORKERS’ DATA PRIVACY AND PROTECTION﻿. TOP 10 PRINCIPLES FOR ETHICAL ARTIFICIAL INTELLIGENCE﻿. Govt keeps Aadhaar linking deadline window open for financial dealingsRead more. 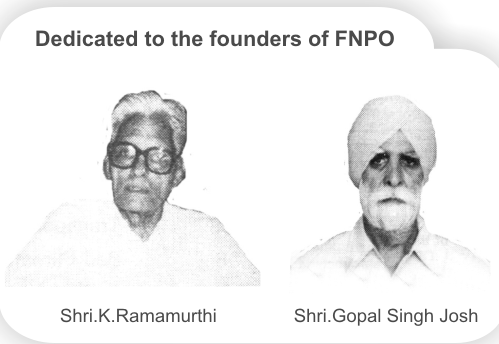 FNPO President & GS NUPM&MTS Shri T.N.Rahate met the following officers. DDG (P), DDG (SR & Legal), DDG (Estate), DDG (Estt. )Click here to view the outcome of the meeting. MACP should be given wef 1/1/2016 Apex court judgement. India Post annual report for the year 2015-16, CLICK HERE TO VIEW. India Post annual report for the year 2016-17 CLICK HERE TO VIEW. Ways to Prevent Aadhaar Misuse: How to Lock and Unlock Your Number Read more. 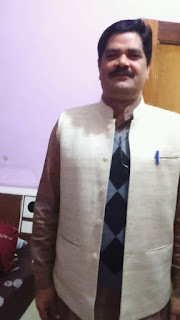 UP Circle Administration has issued orders to shift the HQ of RMS SH Division from Saharanpur to Ghaziabad in the middle of the academic year against the decision of UP circle administration and the silence on the part of the Directorate SH Division colleagues organizing Dharna at the time of shifting. FNPO congratulate all our colleagues Click here to view.